This first official business trip positively defied all my expectations and helped me reach far outside of my comfort zone because I felt so privileged to be part of the Viennese business life, live one amazing adventure after another, and meet incredible people with breathtaking stories. After three inspiring meetings with the fearless business owner and adventurer – Jörg Schmiedl, the well-spoken, determined and respectful leader – Guntram Rainer, and the kind and creative leader with a contagious smile – Gergö Fazekas, it was time to continue this adventure and experience new amazing things. Despite my exhaustion from barely sleeping the night before, knowing that my next meeting is going to be with an incredible person that has a great story to share gave me so much energy to continue beyond what I could have ever imagined. Of course, “The Technology Interpreter™ Meets The Technical Evangelist” legendary and memorable article title contributed to that feeling, as well. Are you curious who was the positive energizer of the day? 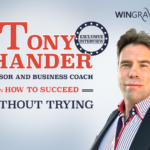 It is a great honor and pleasure for me to introduce to you the next cool Austrian entrepreneur, the energetic, passionate and enthusiastic leader – Johannes Linder – the Technical Evangelist of dox42.com. On my way to the dox42 headquarters, I realised that I’m not gonna make it. There were only 15 minutes left, I was on the other side of the city and it started to rain heavily. Seriously? Even if I used my superpowers it would have been impossible to make it in time and I didn’t even have an umbrella. Incredible, isn’t it? Why does it always happen to me, the Technology Interpreter™, the most obsessed person in the world when it comes to being in time for a meeting? I’m so strict about this matter that I have all my watches set 10 minutes ahead to make sure that a situation like this never occurs. Admitting defeat is the wisest action to take sometimes, but it wasn’t the case here because I had an image to maintain – the freak that would never run late. So, I ran and I ran in the rain, like there was no tomorrow, with my shoes filled with water. I had the feeling that I was running in a fishbowl or even racing on some streets with other fit Viennese people. After accepting that once you’re wet you can’t get wetter, that no matter how expensive your suit jacket is, it can still get wet, that people forget how to drive in the rain, that happiness is not just dancing in the rain, it’s running in the rain too, I became unstoppable. I instantly felt more badass and had so much fun splashing everything and everyone around me like a kid, on my way to meet Johannes. Of course, I was the winner of this race, the champion of all rain runners, dripping wet and with an enormous smile on my face because nobody could stand a chance in front of me and my force. I arrived victorious at the indicated address – Vegagasse 5/2, A-1190 Vienna. Equipped with a messy hair, a wet jacket, two fishbowl shoes, I felt stronger, more confident and in shape than ever before. Most importantly, I was READY mentally and physically for a successful business meeting. The door opened, Johannes gave me a warm welcome while inviting me to see his beautiful crib. That was the moment when I realised that the entire experience was totally worth it. Since “what you see is a reflection of what you are,” I must describe their offices a little bit. They are conquering the world with their product from an old, beautiful building filled with history. There were big windows, wooden floors and large rooms with white walls, taller than I had ever seen, covered occasionally in stickers with messages such as “May the force be with you,” as well as different colorful and modern elements that completed the old architecture artfully. The first word that comes in mind after meeting Johannes and his colleagues is “enthusiasm.” Their excitement is easily noticeable from their behavior and from the way they interacted with me and with each other. Living one amazing adventure after another and working with incredible clients, international companies from various industries, totally makes you enthusiastic, wouldn’t you agree? After our successful meeting, I could definitively say that Johannes is the perfect example of an energetic leader. He is very passionate about what he does as a technical evangelist of dox42 and constantly radiates that with his aura. Super charged with a positive energy, he conveys that passion and enjoyment to the rest of his team and genuinely pushes them to create better and cooler things. Knowing exactly what words to use and when makes him an enthusiastic and effective communicator who gives you the impression that everything he says is exciting and amazing. Also, his eyes are filled with joy and his gestures are attention- grabbing as he happily and confidently talks about what he does. Energy, just like happiness or enthusiasm, is contagious and is making a real difference to the team’s attitude and behaviors. Having these qualities, Johannes is a leader who electrifies any workplace and inspires others to achieve successful results by doing great things. They developed an innovative and extensive software package called dox42. Its scope is to automatically generate complex documents using Microsoft Office Add-Ins. The generated documents include data, images, tables, dynamic charts, QR-codes and text modules from various data sources including, but not limited to SharePoint, databases, SAP, CRM, Web Services or Excel. The benefits of using document software automation for creating quotes, contracts, invoices, or something else are: improved time and money efficiency, plus a lower count of document errors. Managing all the documents manually is difficult, time-consuming and boring. Also, there’s a big risk of human error. Using dox42 instead, the hours that you waste manually updating documents can be spent making other successful and fulfilling activities such as adding new connections, nurturing deals or just having fun with your team. I was impressed that the generated documents definitely stand out from the competition due to their professional design templates that maintain brand consistency by using the same color scheme, logos and graphics. Creating a contract in 20 seconds with some simple drag-and-drop actions in its editor instead of 1.5 hours is impressive. With dox42, it takes only one simple installation and a short training session to get there. For most of us, it’s tiresome and boring to do the same task over and over again and this is why I embrace and support all innovative products that help people to digitise and automate processes in any organisation. I can see myself using this software while having lots of fun because of all its great features and benefits boosting productivity and efficiency is a main priority for my business. Are you ready to try an innovative software product for your document automation and data integration that is flexible, powerful and intuitive? 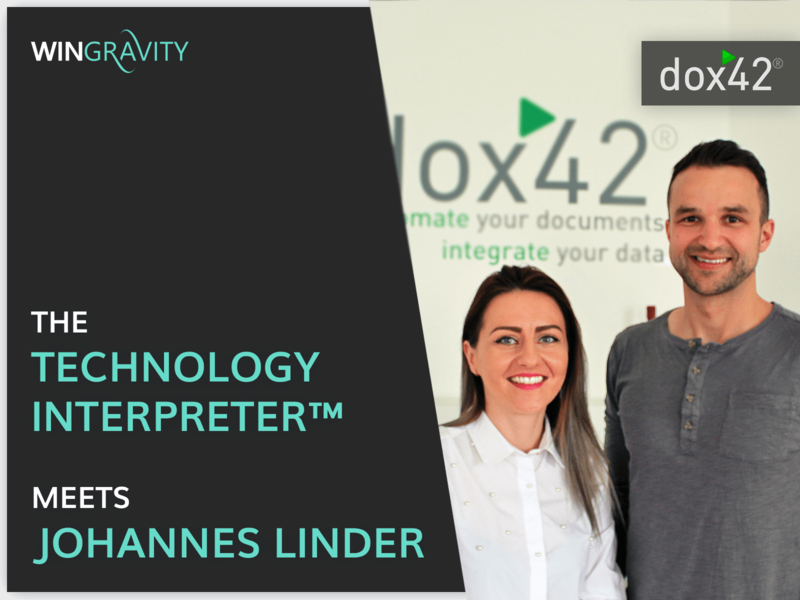 If yes, contact Johannes Linder, the Technical Evangelist of dox42: phone: +43 664 182 51 41, email: johannes.linder@dox42.com. What is so cool about dox42.com? Johannes Linder: When I start working in the morning – may this be at home, in the office or somewhere in the world – I open my laptop and I get in contact with a lot of people. Sometimes it is about support, sometimes it might be sales and sometimes it is just a quick question from a partner. Now there are two really cool things about this: Firstly, within that communication we get great feedback from our customers and partners in terms of the product. Secondly, it’s a lot of fun to get in touch with people from around the world that you might even get to know personally at some of the conferences we do each year. This even makes first time appearances at events feel like you have already been there! Additionally there is another thing that comes to mind regarding this question: My team and the fun we have working together. Being a software product company it is very important to quickly adapt to the needs of your customers. To do so, a high level of process automation is necessary that is both individual and feels personal to the customer. Now this does not replace personal communication, but by doing so, the former will help you have more time for the latter. This works really well at dox42 and I am happy to benefit from a great team with great processes. When it comes to our product the team philosophy can also be found in our software, dox42: Automating individual content like Documents, Emails or Websites just helps you get rid of repetitive tasks so you can do what your job is really about. 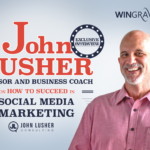 What are your 3-5 key ingredients for business success? Johannes Linder: To me there are four important ingredients when it comes to business success. They might sound rather standard, but they are essential when it comes to achieving your company’s goals. Ingredient #1: The team and the collaboration within it: You need to have a team that is willing to improve together. Also challenging each other makes you thrive for success. Ingredient #2: Processes: Be aware of your processes and try to improve them when possible – it will allow you to do more of what you really want to do. Ingredient #3: Product/Service: The product/service you deliver needs to fulfill a clear and defined demand. Along the way you will probably come up with new ideas and scenarios that were not initially planned. However, the need should be clear! Based on that you can share that idea differently according to the last point. Ingredient #4: Individualize your Marketing/Sales: The same content can be delivered in many ways depending on your audience. In our case we have people in the IT, Marketing and Sales departments, and each of them will need different information to understand the product. This does not mean we will tell them what they want, but tell them what we offer in their business language. This fourth meeting showed me what a successful energetic leader looks like. I truly admire people like Johannes because being emotionally committed with drive and passion is the key to a continued success in business. Having this high level of energy, using effective communication skills and being passionate, enthusiastic, happy, healthy gives you the superpower to motivate the others and to embrace your ideas. Stop wondering for the rest of your life what you would have missed, take action, be an energetic leader and change this noisy world with your ideas while following your passion! Thank you so much Johannes for the way you artfully showed me, the Technology Interpreter™, how to energetically radiate your inner passion by doing something that makes your heart sing. The motivation to achieve greater things while irradiating sparks around you with your positive aura definitely gives you a big spike of energy in driving your business forward and makes you a cool leader!